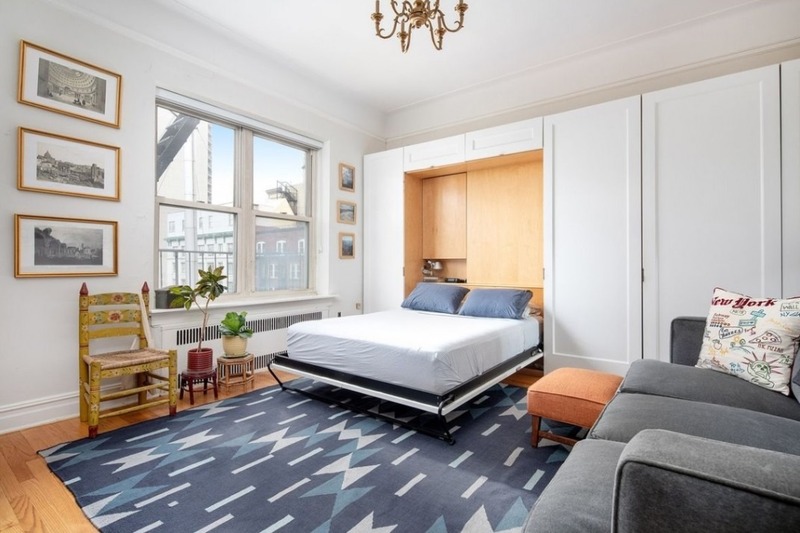 Whether you call it a Murphy bed, a wall bed, or a pull-down bed, it all means the same thing—a bed you can fold up and out of the way in the morning to make your tiny apartment feel suddenly huge. But are they a pain to deal with? Will your back hurt after sleeping on one? And how much do they cost? 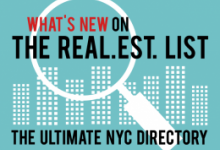 Christopher Duran of Citi Habitats, Jennifer Rouse of BOND New York, and Gill Chowdhury of Warburg Realty answer these questions and more in this week’s Buy Curious. 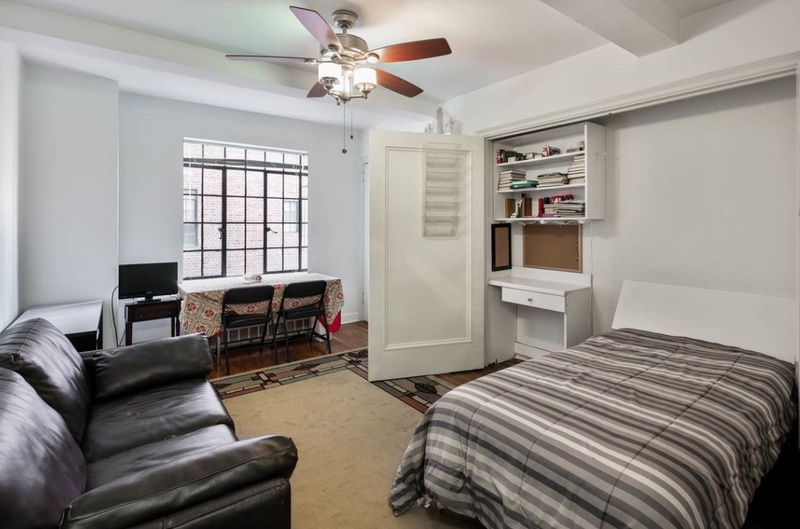 I'm in the market for small apartment, and saw a place in my price range with a Murphy bed. 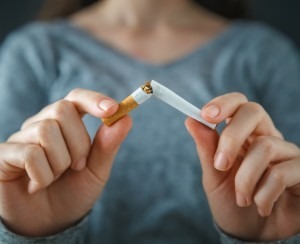 Is this a terrible idea? Can you tell me a little more about them? Duran says he finds that studio apartments are often a tough sell because buyers have a hard time envisioning how to use the space efficiently. And it would never occur to many to install a Murphy bed. That’s why he—a self-proclaimed Murphy bed evangelist—often puts the idea into their heads. “Murphy beds are generally more comfortable than other space-saving bed options such as pull-out sofas, futons, and inflatable mattresses,” he says. Are studios with Murphy beds a deal breaker for some? Not at all, say our experts. Duran, who has a Murphy bed in his own studio co-op, falls into the latter category. “I prefer to hide my bed when entertaining and also create more floor space for my guests,” he says. 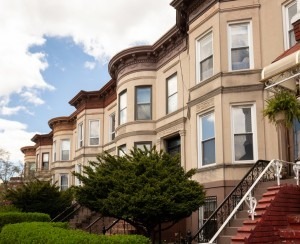 He adds that many New York City apartments are so small that there simply isn't room for separate sleeping, dining, and sitting areas. “In such cases, one may need to find furniture that serves multiple purposes, or folds away or disappears like a Murphy bed.” Some such beds, he notes, even come with the option of converting to a desk, dining table, or even a sofa when the bed is folded up. Are Murphy beds just for studios? What do I need to know if I'm buying one? 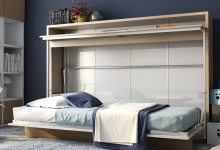 Murphy beds come in many styles, colors, and materials. Some come with shelving and cabinetry flanking the bed, while others are nothing more than the bed itself. Some are built with solid wood, while others are made using flimsier materials like melamine or particle board. A bed made of real wood costs more. Murphy bed mattresses are generally thinner than the ones on regular beds, so unfortunately, they won’t be just as comfy. However, they will be infinitely better than pull-out sofa beds, which often make many a person feel as though they are sleeping directly on the metal bars of the bed frame. But mattress technology is improving every day. These days, “you could get a beautiful, modern unit with a technology-infused mattress that you can’t wait to lay on,” Chowdhury says. Murphy beds come in all standard mattress sizes—twin, full, queen, and king. Some models fold up vertically (meaning they open and close from foot to head), and some fold up horizontally (meaning they open and close from the side). Which one you choose depends entirely upon which will work better for your apartment’s floor plan. Prices vary based on a number of factors, including what they’re made of and what size they are. Duran says he’s seen Murphy beds for as low as $1,200 up to as much as $3,500. Custom beds can be even more expensive. He adds that mattresses must often be purchased separately, and that for those who aren’t all that handy, assembly may be another expense. Built-in shelving on the sides and other accessories like lighting or remote-control operation will also add to these costs. How easy are they to operate? While the Murphy beds of the past required more muscle, today’s models can be operated by anyone. “It can be as easy as pushing a button,” Chowdhury says. 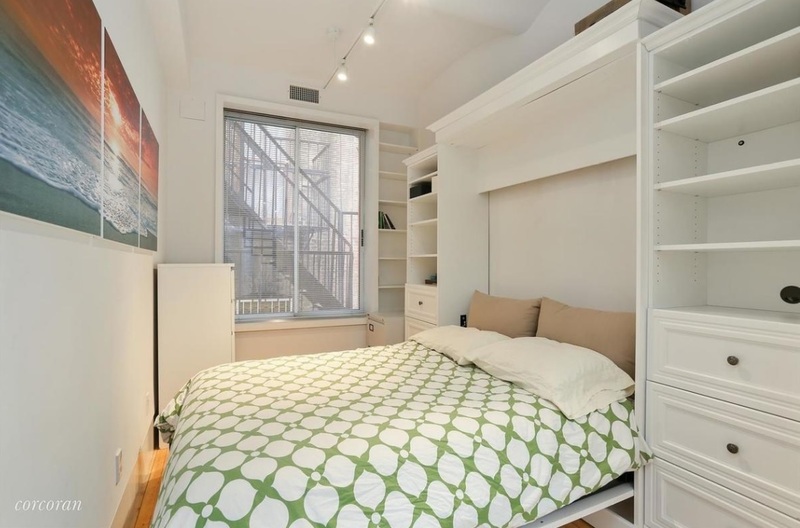 Does having a Murphy bed affect resale values? Duran adds that while he doesn’t think a Murphy bed or any other furniture will have a significant effect on an apartment's value, he does think that “a home furnished—or staged—with a Murphy bed can influence a buyer’s perception of the space’s functionality and livability,” which can in turn affect how much he or she is willing to shell out for an apartment. 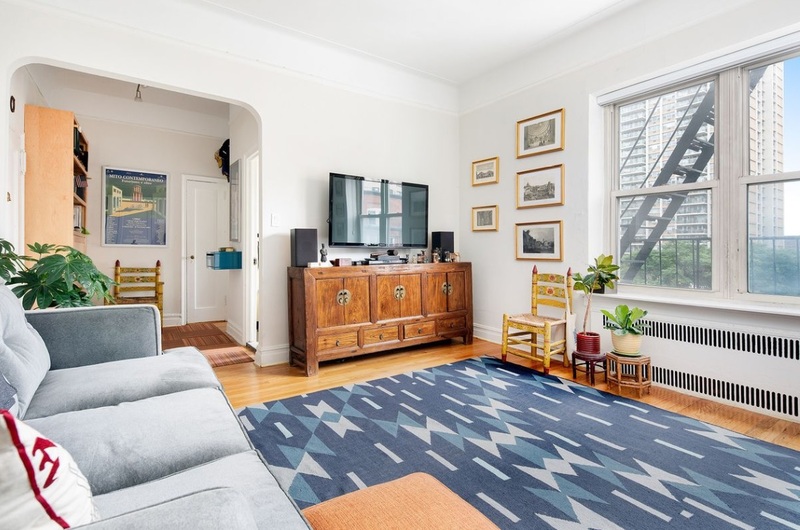 Listed for $480,000, this prewar studio co-op (also shown at top) has a Murphy bed, custom built-ins, and a renovated kitchen. There’s also enough room in the entrance hall for a small home office. Building amenities include a live-in super, laundry room, bike room, and common garden. Maintenance is $648 a month. No dogs allowed. 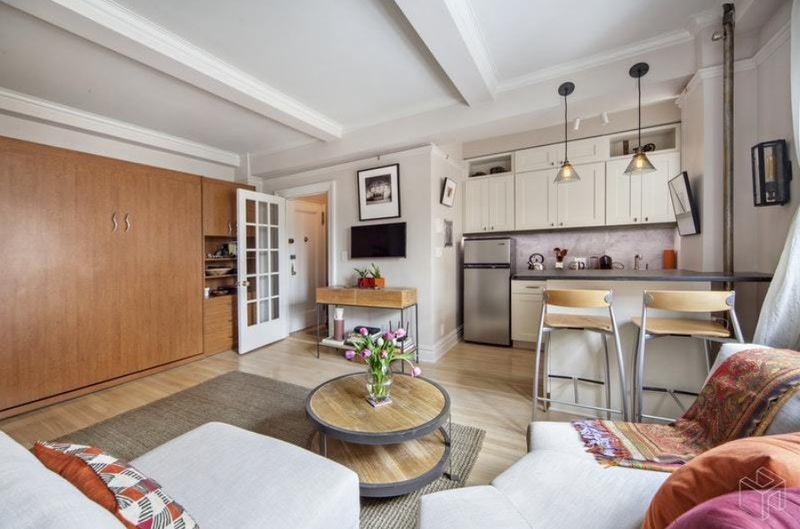 This two-bedroom, two-bath condo, listed for $2,250,000, is just half a block from Union Square, and has 12-foot barrel-vaulted ceilings, a wood-burning fireplace, large windows, custom millwork, central air, washer and dryer, and private terrace. There’s also a modern kitchen with stainless steel appliances, granite countertops, and a center island. 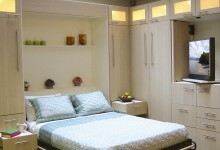 The Murphy bed is located in the guest bedroom, which can also be used as a home office. It’s in a pet-friendly condo building with an elevator. 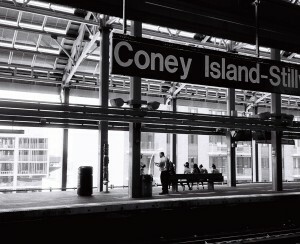 Common charges are $1,123 a month. Taxes are $2,305 a month. This $295,000 studio co-op has a southern exposure, beamed ceilings, hardwood floors, a Murphy bed, and a recently renovated kitchenette with a half-sized fridge, a microwave, and a two-burner cooktop. It’s in a prewar doorman building around the corner from the United Nations. It has a garden, fitness room, laundry room, bike room, and common storage. Maintenance is $800 a month. 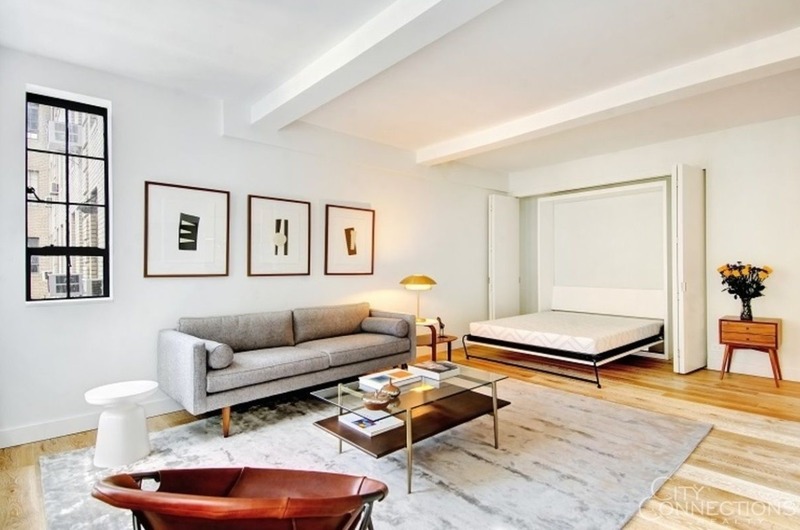 Listed for $850,000, this 585-square-foot furnished studio apartment has wide-plank hardwood floors, 10-foot beamed ceilings, two large closets (including one walk-in) with custom shelving, a Murphy bed, a windowed kitchen with stainless steel appliances and stone countertops, and a modern marble bathroom. It’s located in the Parc Vendome, a pet-friendly, doorman condo with a live-in super. Common charges are $779 a month. Taxes are $639 a month. This $615,000 studio was recently renovated, and has a new kitchen with a convection microwave, a windowed bathroom, new electric, a new AC, and a queen-size Murphy bed with lots of storage. It’s in a pet-friendly, prewar co-op building with a live-in super, laundry, a new elevator, and a security system. Maintenance is $946 a month.